Chhattisgarh’s tribals have long been caught in the crossfire between security forces and the Maoists. 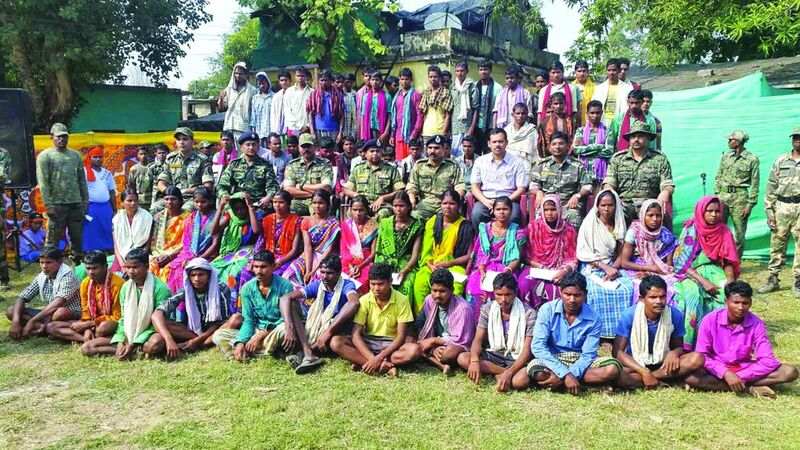 In a new development, two teenage girls—Suneeta Pot­tam and Munni Pottam—have approached the Chhattisgarh High Court alleging extrajudicial executions and staged encounters by the security forces in their village, Korcholi, and the neighbouring Kadenar, Palnar, Korchopli and Andri, all falling in Bijapur district of the state. Their petition mentions six villagers allegedly killed at the hands of security forces. The girls are armed with sworn affidavits challenging the police account of the events leading to their deaths. These were given to them by 10 villagers who are either relatives of the victims or eyewitnesses to the incidents. The high court found some of the requests in the girls’ petition similar to those in the petition of Delhi University professor Nandini Sundar in Nandini Sundar and Ors vs the State of Chhattisgarh (2007), which is currently being heard by the Supreme Court. The top court will now hear the girls’ petition on February 22 along with that of Sundar, the very case in which it earlier delivered a landmark judgment, declaring Salwa Judum unconstitutional (see box). The Supreme Court in 2011 gave the landmark verdict declaring as unconstitutional Salwa Judum in which barely literate tribal youths were deployed as Special Police Officers. 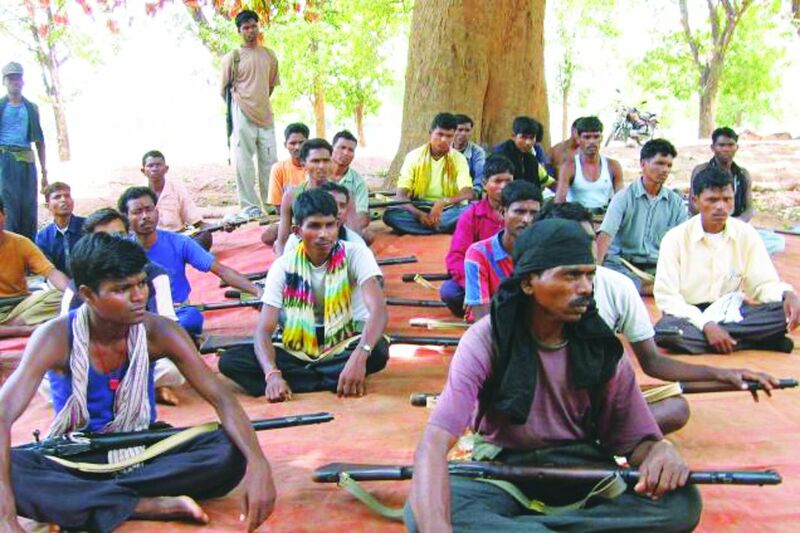 Salwa Judum, which means “purification hunt” in the Gondi language, had sent those youths to fight the Maoists. The apex court had ordered the Chhattisgarh government to immediately cease and desist from using SPOs in any activities aimed at eliminating Maoists. The court held that the state’s policy was in violation of Articles 14 and 21. Salwa Judum displaced hundreds of villagers in Dantewada and Bijapur districts. The court directed that the “state of Chattisgarh shall take all appropriate measures to prevent the operation of any group, including but not limited to Salwa Judum and Koya Commandos, that in any manner or form seek to take law into private hands, act unconstitutionally or otherwise violate the human rights of any person”. The girls’ petition opposes the security forces’ account of the deaths. The forces claim they opened fire in self-defence. This is at variance with what the villagers have to say—the dead were executed in cold blood. A common thread that runs through all the cases is that the security forces had picked up the victims from their own homes or in the presence of other villagers, often on the pretext of getting them “surrendered” after which they were killed and declared a Maoist. Also, in all the cases, their bodies were handed over to family members later (see box). November 25, 2015: Sukku Kunjam, an unarmed villager, was killed by security forces in Korcholi village in the presence of other villagers and the very next day the Bijapur police announced that a Maoist has been gunned down in the jungles. Kunjam’s body was handed over to his wife and even during his funeral procession, the women were harassed by the police. February 19, 2016: A nine-year-old child, Sodhi Sannu, was working in the tomato field of his family when there was gunfire. When the mother and neighbours of the child were going to the tomato field, they were stopped by the security forces. After a while, when the forces departed, the villagers looked for the child everywhere but could not find him. He remains missing two years later. May 20, 2015: The security forces entered the house to Tati Bandi, rounded up her daughter Tati Pande and son-in-law Manoj Hapka, and forcibly got them “surrendered” in front of villagers who are eyewitnesses to the incident. A day later, their bodies having gunshot and stab wounds were handed over to family members. The CRPF and Bijapur police claimed that they gunned down a Maoist couple in Karenar village, who had a bounty of Rs 6 lakh on their heads. July 5, 2016: The security forces dragged away Seetu Hemla of Palnar village in front of his family members and villagers. His body was returned to his family members later with the police issuing a statement that it had killed a Maoist in the forests. Extrajudicial encounters and contrasting accounts of villagers and security officials are not new in Chhattisgarh. The state has witnessed the most fatalities in the country owing to left-wing extremism and extrajudicial executions. According to data accumulated by the South Asia Terrorism Portal, Chhattisgarh saw the deaths of over 700 civilians and 971 Maoists between 2005 and 2018. Even this year, 10 Maoists were killed in Chhattisgarh while three civilians lost their lives. Of these 10 Maoists, three belong to Bijapur district, where the petitioners hail from. But the real problem lies in security forces picking up the villagers and branding them as Maoists. Many a time, it has been seen that the people arrested were actually picked up from their homes but shown to have been killed in an ambush or an encounter. Innocent citizens were presented as surrendered extremists. And while there have been several incidents of false encounters, rarely has a case reached the court. The encounter of Kashyap is a textbook example of how the security forces frame false charges against innocent villagers, and present them as absconding Maoists. On August 17, 2016, four so-called Maoists were reported to have been gunned down by the security forces in Chhattisgarh’s Dantewada district. The reports mentioned a Maoist commander, Arjun Ram, who was killed with his three associates in cross-fire between the militants and the forces. Arjun’s father, Sulo Kashyap, has now moved the high court saying his son was picked up from his house and killed in cold blood by the forces. Khandelwal, who is representing him, told India Legal: “He was earlier framed in a false case. He was arrested even though his name was not mentioned in the chargesheet.” The FIR had mentioned Arjun as a 31-year-old but when it was proved before the court that he was a school-going teenager, his case was han­ded over to the Juvenile Justice Board. “Arjun got bail and attended every hearing. In August 2016, a fortnight before his next hearing, he was picked up from his house, murdered and shown as an ‘absconding Naxalite’, in spite of the fact that he appeared in court every month. He would definitely have been acquitted because all witnesses deposed in his favour,” said Khandelwal. To appear as if they are conducting a successful crackdown on Maoists, the police forces end up killing innocent villagers, many observers say. The major problem here is that the FIRs that are registered by the police are against unnamed people. This gives them the chance to implicate anyone in a false case at a later stage. In 2014, the Supreme Court in PUCL vs State of Maharashtra laid out some clear guidelines which had to be mandatorily followed in cases of encounter killings. A bench of then Chief Justice RM Lodha had issued a 16-point guideline to crack down on fake encounters. “In encounter deaths, intimation must immediately go out to the National Human Rights Commission and a magisterial inquiry set up. The inquiry should not involve the policemen who have actually gone there. What the NHRC has very clearly specified is that the family and people who have raised an objection that this is not a criminal encounter must be examined. However, if at all an attempt is made to do the paperwork, it is not followed in spirit. It is very rare that the family members of the victims are examined by the magistrate,” said Bhardwaj. After all the atrocities inflicted upon them, it is insensitive to expect a great championship of participatory democracy from these Adivasis. The two youngsters have still decided to give the judicial process a mighty shot. And they will not easily give up the fight. ?? : 28 फरवरी : राष्ट्रीय विज्ञान दिवस ,प्रदेश में जगह जगह होंगे आयोजन : छतीसगढ विज्ञान सभा .